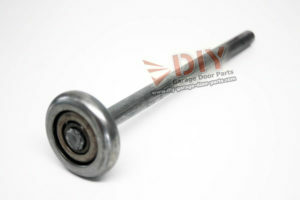 Quality garage door rollers keep your door working smoothly and quietly by reducing friction and dragging. 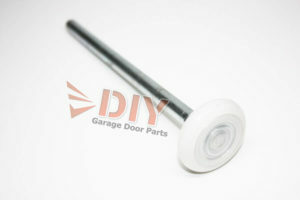 Residential garage door rollers are two inches in diameter. 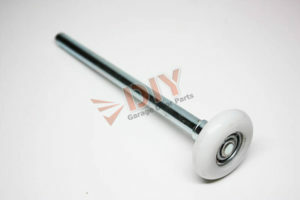 Four-inch stems are used for most garage doors, but if your door is extremely heavy and your roller stem goes through two hinges on each side of the door, you may need a seven-inch stem to support the extra weight. Rollers with worn out bearings will drag in the track, causing excessive wear and tear on your garage door opener and added strain on your garage door panels that can result in cracks. The first and most obvious sign of a bad or worn roller is noise. Loose ball bearings can cause a clicking noise. Other signs of wear include the garage door opener straining as the door moves up and down, the garage door panels flexing when in operation, and difficulty opening the door manually. 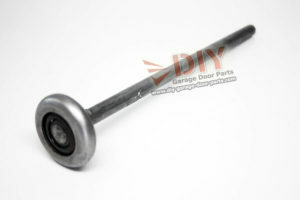 Black Nylon Rollers: These factory rollers usually come with a garage door. They’re relatively soft and have no ball bearings. They only support about 50 pounds per roller and are rated for just 10,000 cycles. Steel Roller: Steel rollers usually have only an 8 or 10 ball bearing. They’re noisy almost from the beginning and get even noisier because the metal roller is in constant contact with the metal track, resulting in friction and causing exposed ball bearings to wear down quickly. The noise you hear is similar to a train on train tracks. Lubrication helps, but lubricating a non-sealed steel roller attracts dirt and grit into the bearing, which shortens the life of the roller. 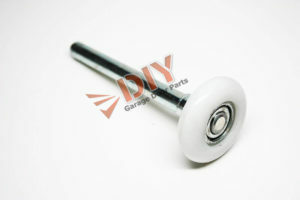 Two-inch Nylon-coated Roller with 11 Ball Bearings. 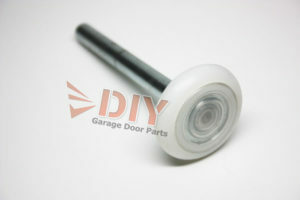 With a durable white nylon tire, bulged shoulder and zinc-plated stem, these rollers are a significant upgrade from the black nylon rollers that come standard with most garage doors. 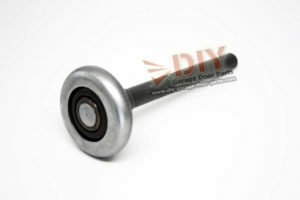 View cart “2″ Steel Roller, 10 Ball Bearing with 4″ Stem” has been added to your cart.